In any such story, some change in behaviour, organisation, technology or "Economic Fundamentals" seem to warrant what previously would have been miraculous valuations and even-more striking conclusions: this is changing the world, the problem of "depression prevention" has been solved, Keynes' 15-hour work week is the future and so on. And all such episodes collapse in one way or another. This time wasn't different. Most pundits rightly make fun of the proponents of whatever the current mania is for not seeing how this time really isn't that different, despite whatever has been said. Contrast this with another hot topic fear across the political spectrum during recent years: robots, computers and AI: they are gonna take all our jobs away; the rich is gonna get insanely rich and the rest of us are getting unemployed, and so every political faction wants to solve this "problem" with their own favoured solution: Government assistance, tax-and-spend, universal basic income etc. Here's the thing. Somehow the insight from the first dispute (=things really aren't that different) fails to translate into the second dispute (=things are completely different), even when the pundits energetically arguing the threat of automation may be the very same person who just ridiculed some financial market mania. We have example after example after example (horses replaced by cars, tractors replacing agricultural animals, manufacturing replacing agriculture for livelihoods, services overtaking manufacturing). In every such major shift of the economy we have found people saying the same thing: cars are taking our jobs; animals are taking our jobs; tractors are taking our jobs; computers are taking our jobs; sunshine is preventing our candlemaking business from flourishing (this last is of course Bastiat's famous satire). Every time economies and societies re-invented themselves; entrepreneurs invent new business, labour and capital moved into new areas and helped improving our lives in different ways - often in ways we could never have imagined in advance. The bottom line is of course, what makes you think automation is an altogether different challenge? The point I'm trying to make here is simple: the very same people who deride and ridicule enthusiastic investors in financial manias for saying that "This Time Is Different" try to outdo each other in explaining how robots and AI are "completely different" from large-scale economic changes in the past. 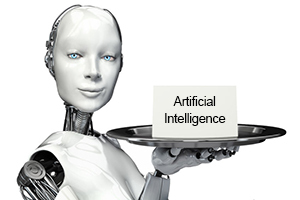 While it is possible that AI is entirely different and all but the rich capital-owners will starve, that greatly reduces their objections to whatever the new financial or economic gimmick is currently hyped. If you find yourself ridiculing bitcoin-buyers for their lack of insight but fear that automation will make us all unemployed, you have some explaining to do. You can't really have it both ways. My two cents is to neatly find a way out of this problem: the people in the second camp are simply wrong. This time isn't different, neither in financial manias nor in the economy at large. Both apocalyptically fearing the future and enthusiastically embracing new assets and technologies as utopia are quite unhelpful ways of approaching our societies. We'll find a way to re-invent ourselves this time too and again re-organise our societies, often in ways we can't even imagine. That's the beauty of markets and liberty that leftists hate so much. Stop worrying. We'll be fine.